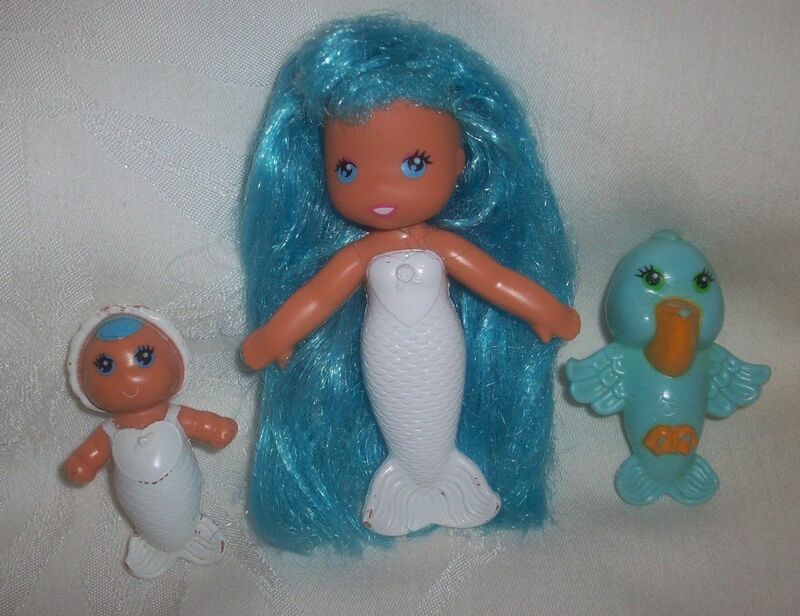 An anonymous emailer sent me this image of two mermaid dolls. They are marked T.N.T. Thanks to Jennifer who found an advert for these dolls, exclusive to Toy R Us! 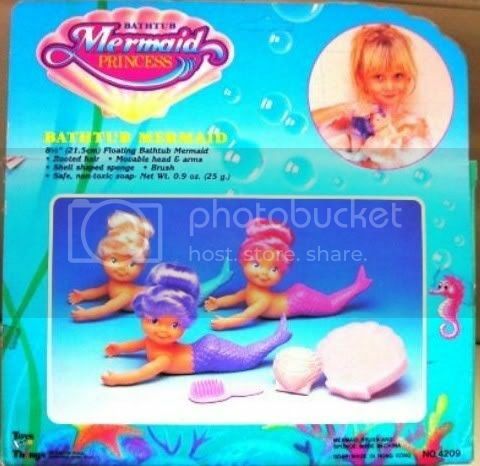 They are from a series called Mermaid Princess and was a bathtime playset which included a 10 inch doll, 8 inch doll, working clamshell shower, 2 scrub-a-dub pals and a bath organiser. It appears they were produced in a variety of colours. I remember seeing the picture of the advert before but now it is missing. Hi Wardah, sorry I forgot to put in the advert image. It's in now! 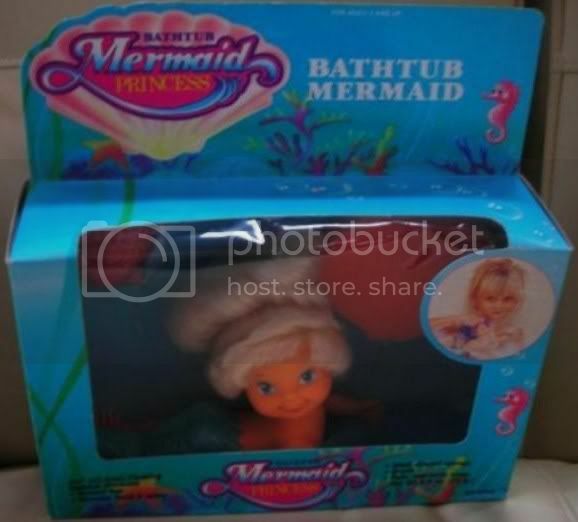 I know this is an old thread but I just thought I'd say that I've been doing a bit of research and the "Mermaid Princess" line is turning out to be a little extensive. 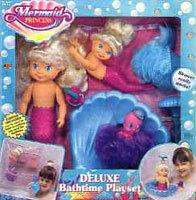 Also, the two mermaids originally in question were sold separately, without the larger doll, not as Toys R' Us exclusives. Would like to say THANKS because this topic helped me to find the name of these dolls that someone in a French toy forum was searching for... So THANK YOU ! I have had a couple of these. One with a turquoise tail and then one with a pink tail which turns to white in water (can't remember if hot or cold). The color changing one has a much shinier tail than the regular one. I am so glad to have found this page!I have been looking for this doll for years! 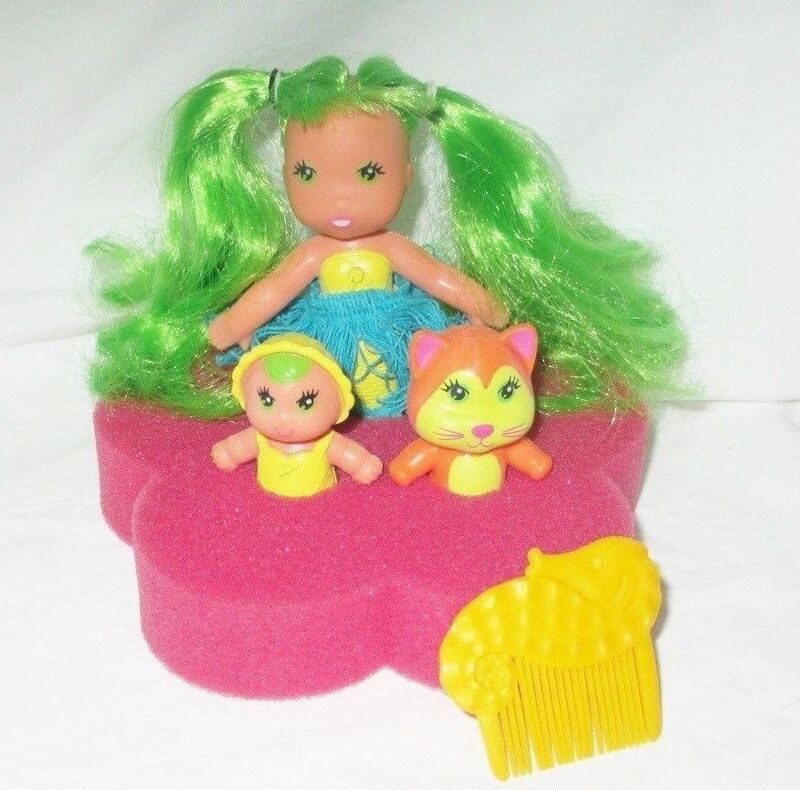 !It was a thing of my childhood and I managed to find one for $6 on ecrater.It brought me literal tears of joy.My only question is what year was the dolls put on the market? 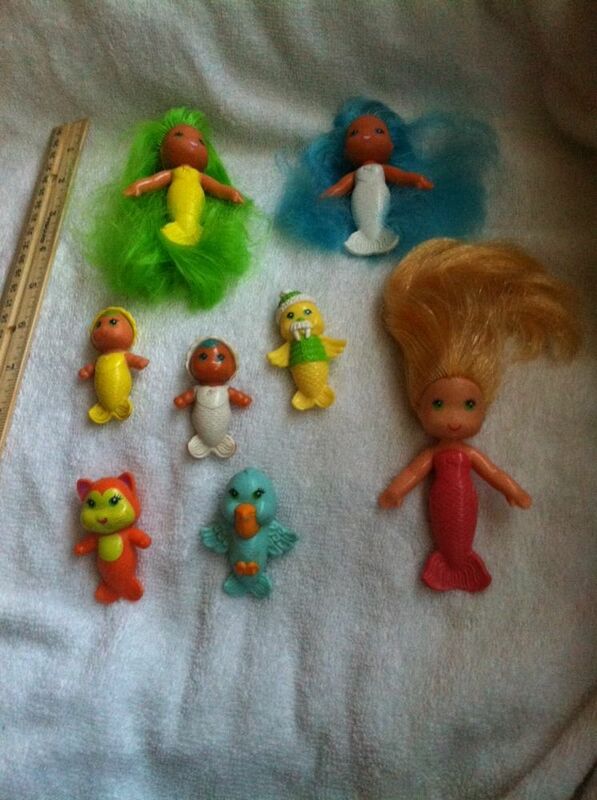 When I was a little girl in the 90's, I had a little foam thing, and in it I stuck some mermaids. They had white tails. 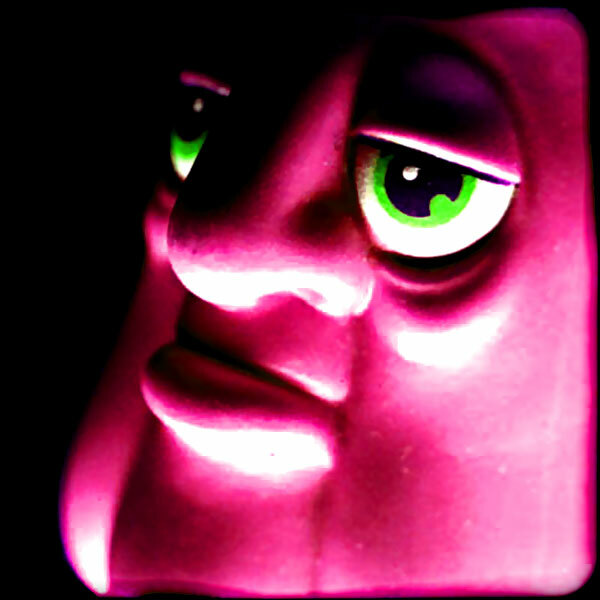 Stupidly, I had a weird thought come through my head as a kid and I flushed one down the toilet. There was a baby, a mom and I think another child. I do not remember there being a pet with them, but instead another baby. Might be wrong though, this was so many years ago. It's pretty similar to the mermaid dolls in this thread. 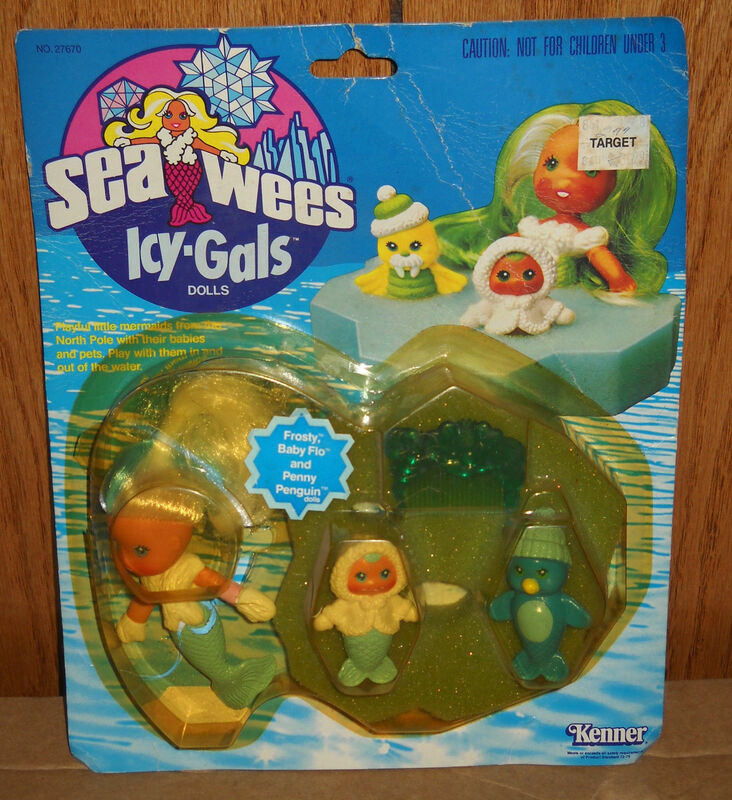 They are called 'See Wees' or 'Tropigals' by Kenner. I remember having the two mermaid dolls in this picture. I do not remember the pet at all. I'm sure a mermaid I had flushed down the toilet and not a pet. I do not remember a comb with mine at all.